– ขนาด 160 มม. x 50 มม. 1, with two-thirds into the soil when the soil compaction ,, ,, not too dry. 2, when the first use of a few first inserted in the soil, remove the oxide layer on the probe. 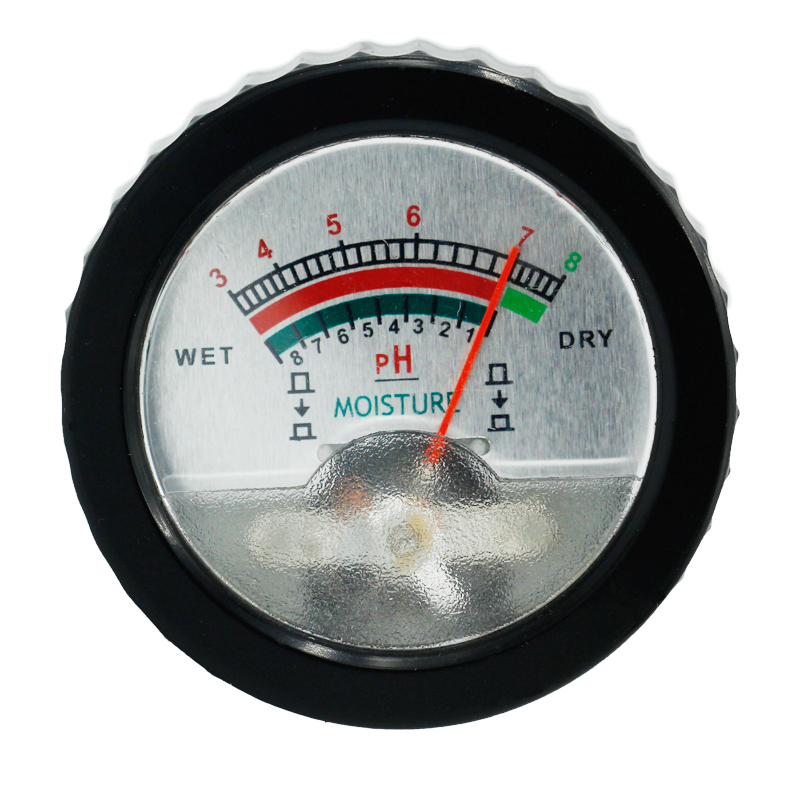 Use: measurement of different soil PH value and moisture. 1, remove the debris in the soil to be tested, such as topsoil, weeds, gravel, etc., if the soil is too dry or contain too much fertilizer, you need to spray some water for approximately 25-30 minutes before testing. 2, prior to testing with a damp cloth to thoroughly clean the surface of the metal electrode. The first time you use the detector, the first electrode is inserted in the soil several times to remove surface oil so as not to affect the accuracy of PH value or humidity. 3, the detector vertically into the soil to be tested to ensure that the electrode and the surrounding soil is completely fit. After about 10 minutes, the detector will display the correct PH value and moisture. 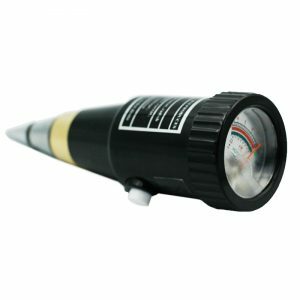 Detector sometimes display different values, depending on the soil conditions, detector metal surface adhesion, humidity, etc. Therefore, it may take the average of several measurements as well. 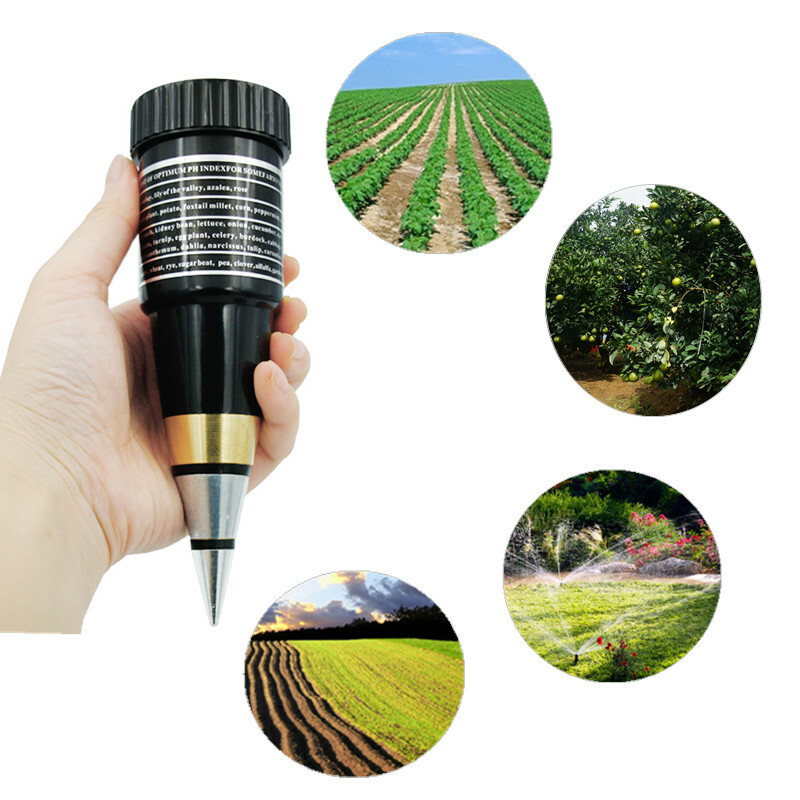 4, press the meter on the side of the white or green button, the instrument will display soil moisture. 5, the detector after use, clean the electrodes with water after dry collection. 1, prior to testing to loosen the soil, be careful not to use too much force to insert excellent soil. 2. Do not insert metal part detector into the soil for too long (not more than 1 hour), to prevent electrode damage. 3, pre-test to keep the metal surface is clean and dry. 4, it can not be used to detect liquid, once the original liquid into contact with the electrical systems, fault detector occurs not covered by the warranty. 5. Do not try to take the opening tip, if you can loose tighten clockwise. 6, prohibit the use of the detector in the vicinity of magnetic objects. 7, prohibit hand holding electrode finger grease composition containing weaken current.